Want to give the perfect gift of comfort but don't know what pattern or color to choose? 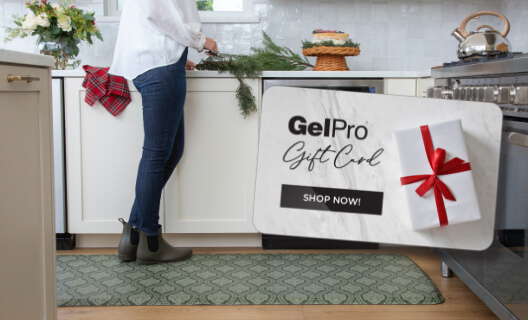 Give the gift that is sure to match every decor -- the GelPro e-Gift Card. OPTION 1: Email e-Gift Card to recipient today! Fill in THE RECIPIENTS email address in the form on the right. Check Out and pay for the gift card. The e-Gift Card will be emailed to your recipient today! Fill in YOUR email address in the form on the right. The e-Gift Card will be emailed to you. Download and print our BLANK gift certificate form and fill it out with the emailed information.